As part of its mission to improve quantitative undergraduate biology teaching, QUBES provides a unique postdoctoral opportunity at the interface of quantitative biology, discipline based education research, and undergraduate teaching. Postdocs are based at one of the QUBES PI institutions, but work with the entire team of QUBES faculty and postdocs on a diverse array of projects. Meet our postdocs and see what they are up to and where they are going! I help run Faculty Mentoring Networks (FMNs) and train mentors to lead their own FMNs. Click here to view our past postdocs and where they've gone! A postdoctoral position is available with the Quantitative Undergraduate Biology Education and Synthesis (QUBES) project (www.qubeshub.org), with investigators at the Radford University, the University of Pittsburgh, the College of William and Mary, Unity College, and the BioQUEST Curriculum Consortium (http://bioquest.org). Project: In brief, the project aims to facilitate greater penetration of quantitatively rigorous curriculum and experiences in undergraduate biology programs across the country. As part of the larger project, QUBES develops and supports online Faculty Mentoring Networks that partner geographically distributed faculty who wish to incorporate more quantitative approaches in their teaching with a mentor who has expertise and experience doing just that. The focal idea is to provide support, guidance, and faculty development during the implementation and assessment of curricular change rather than just before. Read more about the Faculty Mentoring Networks and the larger project here: www.qubeshub.org. Position: The postdoctoral research position, funded by a grant from the National Science Foundation, will be involved in curriculum development, faculty development, web communications, and assessment of the QUBES Faculty Mentoring Networks. The position will include teaching responsibilities in the Department of Biology at Radford University, providing opportunities for implementing and assessing innovative curriculum first-hand. The work will be supervised most directly by Dr. Jeremy M. Wojdak at Radford University, but will include close interactions with the Project Director, Dr. Sam Donovan at the University of Pittsburgh, and Dr. Kristin Jenkins, the Executive Director of BioQUEST. Qualifications/ Requirements: Applicants must have a Ph.D. in the biological sciences or a related field, preferably including experience/expertise in biological mathematics or statistics. Preference will be given to applicants that have demonstrated a strong interest in undergraduate STEM education. Indications of interest in STEM education include participation in professional development programs (e.g., FIRST IV, HHMI Teaching Fellows program, or participation in CIRTL, or coursework in education/pedagogy), experience with outreach (e.g., GK12 project, directing REU program or summer program for high school students), or publications on undergraduate education projects. We desire applications with strong verbal and written communication skills, good social and organizational skills, and a robust work ethic. Familiarity with statistics (R or equivalent) and the analysis of educational or program assessment data is desirable, as is experience working with diverse faculty and student populations. Benefits and Opportunities: This is an excellent opportunity for a recent Ph.D. with career interests in science education – by the nature of the mentoring network project, the postdoctoral researcher will have frequent opportunities to connect and interact with a wide swath of faculty interested in quantitative biology education across the country. This position will allow the postdoctoral researcher to gain meaningful teaching experience and robust professional development as an instructor. The project team has a wealth of experience in STEM education pedagogy, scientific publishing, and grant writing, and training in these areas will be available. Salary will be commensurate with experience, and includes Radford University’s competitive benefit package. The candidate will initially be hired for one year, with an annual extensions possible contingent on performance. Grant funding will provide support for travel to conferences and project team meetings. Radford University is a comprehensive, midsize public university nestled in the New River Valley along the foothills of the Blue Ridge Mountains. Radford provides a diversity of outstanding undergraduate and graduate academic programs for approximately 10,000 students. Renowned for teaching excellence and a focus on strong faculty/student bonds, the innovative use of technology in the learning environment and a vibrant student life on a beautiful campus, Radford University offers many opportunities to engage both faculty and students in teaching, research, and public service as scholars and citizens. Our faculty is proud of our students and their accomplishments. We seek new colleagues who will work to promote their development and help them pursue their aspirations as well as contribute to our versatile and collegial intellectual community. Additional information about the university can be found at http://www.radford.edu. The surrounding region affords a diversity of cultural and recreational activities along with several excellent school systems. The university is within a few hours drive from both the Washington, D.C., and the Charlotte, NC, areas. Application: Questions and applications should be forwarded to Dr. Jeremy Wojdak, Radford University, jmwojdak@radford.edu . Applications should include a CV, a statement of research and career interests including relationships between applicant’s interests and QUBES project goals and plans, a statement of teaching philosophy, and the names and contact information for three professional references. Additional materials may be requested at a later time. The ideal starting date is Fall Semester 2017 (August) or earlier; interviews will continue until the position is filled. Radford University is an EO/AA employer committed to diversity. All new hires to Radford University will be subject to E-Verify beginning June 1, 2011. E-Verify is administered by the U. S. Department of Homeland Security, USCIS-Verification Division and the Social Security Administration and allows participating employers to electronically verify employment eligibility. This contractor and subcontractor shall abide by the requirements of 41 CFR 60-300.5(a). This regulation prohibits discrimination against qualified protected veterans, and requires affirmative action by covered prime contractors and subcontractors to employ and advance in employment qualified protected veterans. As members of the QUBES team, our postdocs contribute to the creation and support of online Faculty Mentoring Networks (FMNs), which partner faculty from across the country with a mentor who has knowledge and experience incorporating quantitative approaches into their teaching. Additionally, postdocs take part in assessing outcomes of FMNs developed at QUBES. 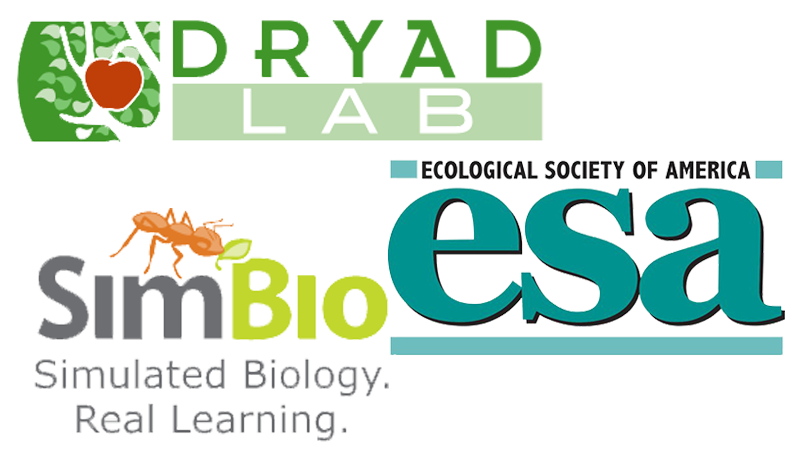 Through their work with FMNs, our postdocs gain valuable networking opportunities as they work with QUBES partners, such as the Ecological Society of America, DryadLab, and SimBio. Most recently, our postdocs facilitated the organization and structuring of the ESA’s “Scaling Up” Faculty Mentoring Network: Bringing Research Data into Undergraduate Classrooms, DryadLab Faculty Mentoring Network, SimBio Faculty Mentoring Network, and in this spring’s ESA Data Discovery Faculty Mentoring Network. 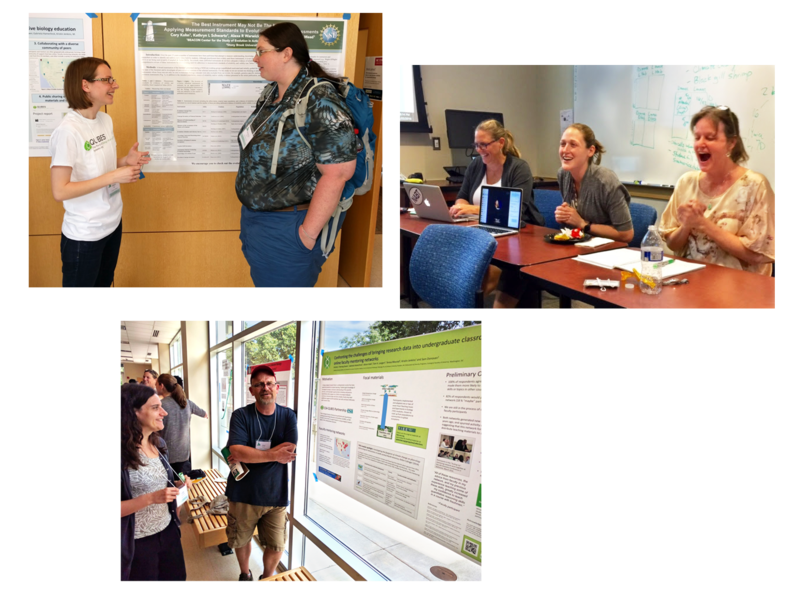 QUBES postdocs are also key contributors to the creation and implementation of in-person workshops such as this summer’s Making Meaning Through Modeling, providing important collaboration between QUBES and our partners BioQUEST, Science Case Network, and Michigan State University. Workshops are designed as complements to online Faculty Mentoring Networks, as they are centered around developing effective use of teaching materials and pedagogical approaches in undergraduate courses. In addition to building online faculty communities and evaluating outcomes of QUBES activities, postdocs have an opportunity to implement and assess innovative curriculum when teaching courses in the biological sciences at their home institutions at the undergraduate level. Our postdocs have mentored a team of undergraduate researchers at the University of Pittsburgh as well as taught classes at the University of Pittsburgh and Radford University. Former QUBES Postdoctoral Researcher that was based out of University of Pittsburgh. Former QUBES Postdoctoral Researcher that was based out of Radford University. Former QUBES Postdoctoral Researcher based out of BioQUEST.